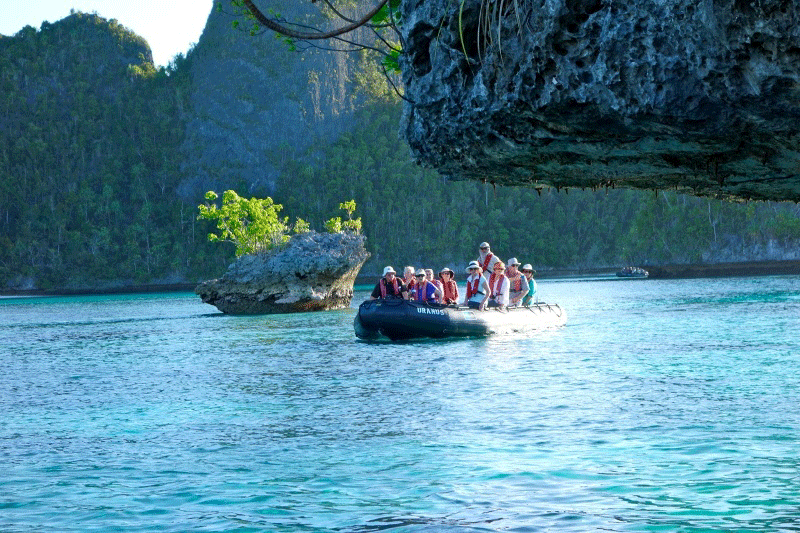 Snorkelling with millions of stingless jellyfish in a tropical lake on the way to Indonesia’s Spice Islands, tasting Europe’s gastronomic heartland, meeting walruses and polar bears in Russia’s frozen north— this year, I took three cruises most people only dream about. Sometimes, you need to make a resolution to turn at least some of your dreams into reality. Perhaps 2015 is the year you resolve to make one of your travel dreams come true. Come along with me and sample some of the highlights of these three cruises. And as always, don’t forget to do all the paperwork before you leave, like 1) arranging your finances to avoid any financial disasters en route; 2) photocopying your passport(s), credit cards, etc. and leaving a copy with a family member or friend, and perhaps also scanning/uploading everything to a secure site and/or your phone; 3) taking out the appropriate cruise travel insurance. Jellyfish Lake, Palau – When several million stingless golden jellyfish invite you to swim and snorkel with them—an invitation you will receive nowhere else in the world—it would be rather rude to refuse. A group of us don snorkels, masks and fins, and slip into the 28-degree water of Jellyfish Lake. What an amazing and unique experience to see and brush by clouds of these delicate, graceful creatures, which have evolved in their landlocked lake over 20,000 years to have no need of poisonous stingers. They range in size from as big as a large fist to as small as the tip of your little finger. And their population in the relatively small lake runs between five and seven million! What a way to start this cruise! We were off to explore mostly uninhabited islands in and around Indonesia’s fabled Spice Islands of nutmeg and mace fame—with one of the inhabited ones having gained a spot in history by being traded for Manhattan. 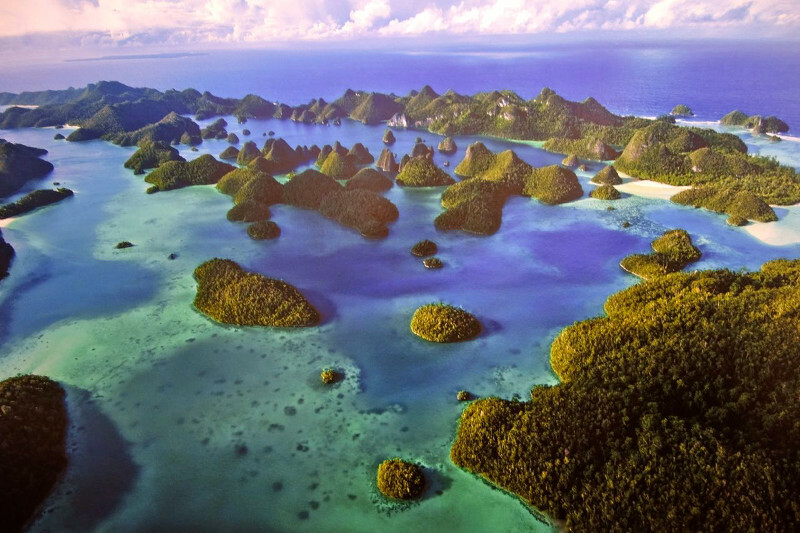 Raja Ampat, Indonesia, comprises 1,500 small islands, cays and shoals. We anchor near Wayag Island—so far off the beaten track that immigration officials have to travel five hours by boat to reach us to clear the ship. We see schools of Thread Fin Anthias and other fish, large and tiny, some swimming in an orderly flow, others all over the place—normal or bright neon colours, stripes, spots; groups of tiny fish nibbling coral, feeding within the waving polyps, all varieties and shapes. 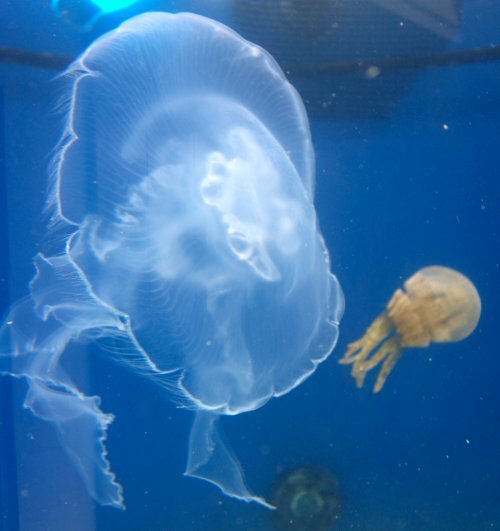 Tiny jellyfish are so translucent a camera’s autofocus doesn’t respond to them. A sharp-eyed diver spots a pygmy seahorse the size of a grain of rice. Over there, peeping out of a coral, is Nemo (a clownfish, AKA sub anemone fish, AKA sub damsel fish). Giant schools of barracuda swim by. Eroding rocks at Karst Spice Islands. 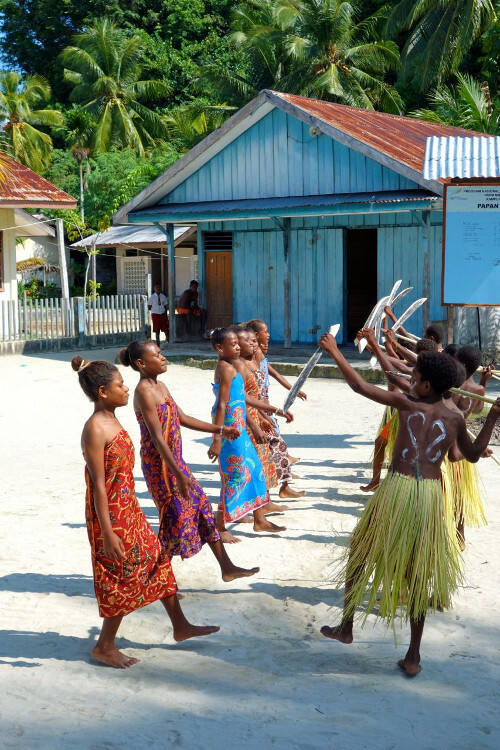 We go ashore on several islands to meet the locals in Yenwaupnor, Kokas, Banda Neira and Banda Run villages (Run was traded by the Dutch to the British for Manhattan in 1667). 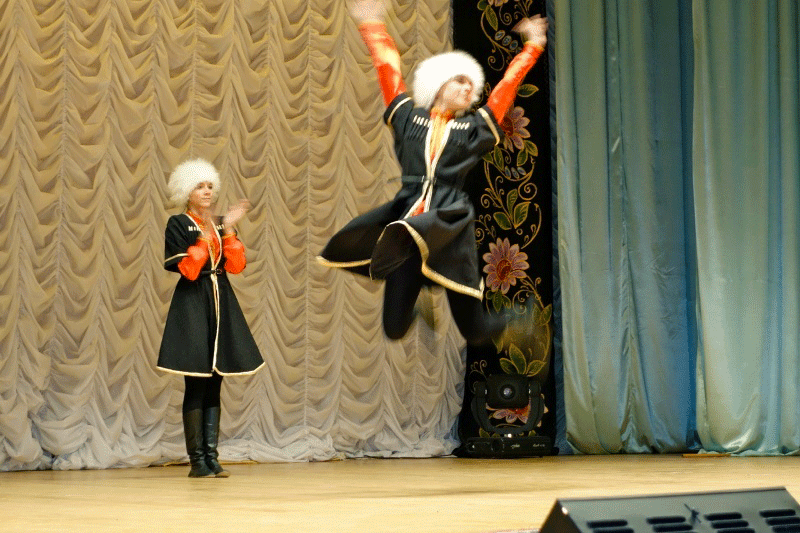 They put on welcoming and farewell cultural dances. Children get time off school to show us around. We end our trip in Darwin – reflecting on how lucky we have been to get up close and personal with such remote and magical islands and their inhabitants both above and below the water. Visiting Bali on your Indonesian adventure? Here’s a guide to diving, eating and exploring in Amed, Bali. 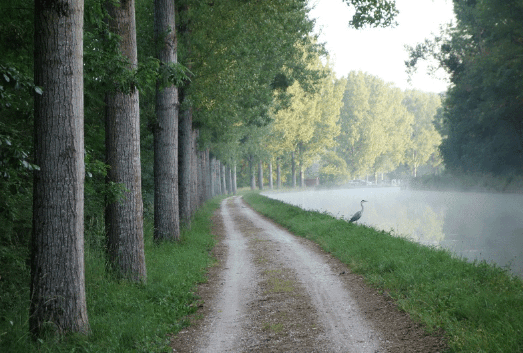 Fleury-Sur-Ouche, France – The morning mist rises slowly from the canal as L’Impressionniste glides almost silently through the water. A grey heron watches for its breakfast fish and takes off from the edge of the canal as the hotel barge approaches. 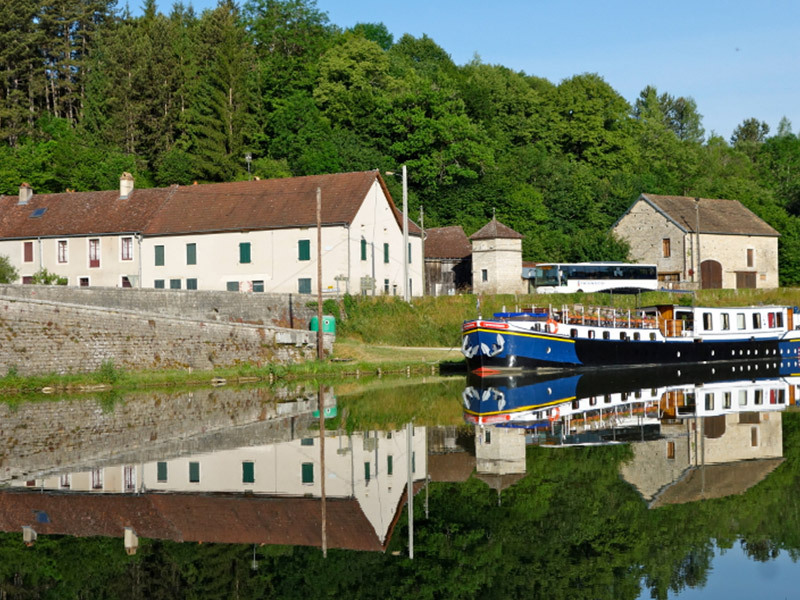 Depending on their temperament (and how late they were up the night before), the passengers might be still asleep, or looking out their cabin windows, or sitting on deck with a morning cuppa, or riding a mountain bike along the towpath as the rising sun flickers through the trees along the shore. The passengers are getting to know a way of life here in France’s Burgundy region in perhaps the most relaxed way possible—that is unless they are powering along on that mountain bike before breakfast and after dinner every day to work off the three gourmet meals, featuring 18 different regional cheeses and 21 different fine French wines (part of the open bar) served during the week-long cruise. My home for six nights was a 38 metre by 5 metre hotel barge with six cabins, all with ensuite bathrooms. There was a jacuzzi up front, open and covered deck areas for sitting outside or doing yoga and a dining room inside. Also on deck were the mountain bikes. Dinner the first night set the bar high. After a champagne reception with nibbles and then cocktails, we dined on asparagus with quail’s eggs and homemade mayonnaise; duck with puy lentils (the local area’s green variety), cherry and cassis sauce; two cheeses—Langres, Morbier; and mousse au chocolat. The 33 glasses on the table were never empty, thanks to bottled still or sparkling water, Condieu white wine and a 2002 Moulin à Vent red. Plus three or four varieties of bread with that amazing salted French butter. Read about my not-so-typical African safari adventure. Wrangel Island, Russia – The announcement came over the ship’s PA system at 3:35am: “There’s a polar bear dead ahead of us.” Within minutes passengers appeared up on deck, some still in their PJs, looking at the polar bear swimming near the ship just off Wrangel Island, in the eastern Russian Arctic. 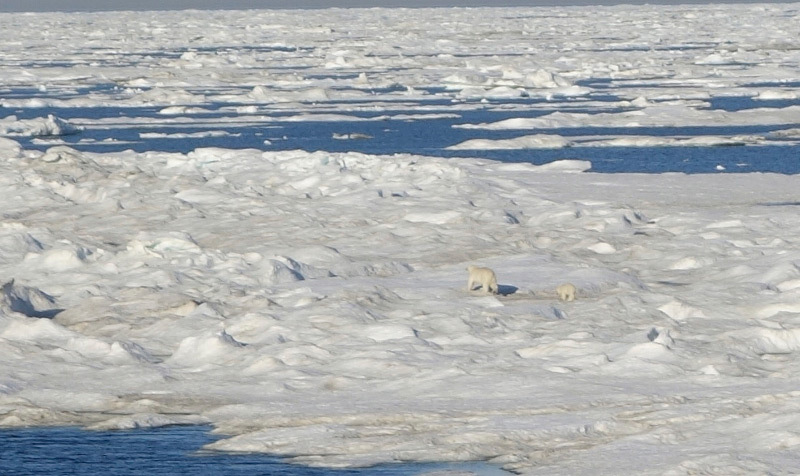 It was a bright, sunny day (the sun had risen at 1:44am), and this was our first polar bear sighting of several to come. We were 500km north of the Arctic Circle and the ocean was unusually calm. We were on a 16-day cruise, on the first non-Russian ship to be allowed to visit Wrangel Island. In fact, we saw no other tourists during the entire trip. It was fascinating enough to explore the Arctic tundra most of us had hitherto only read about in school. But we could add to that the experience of being with the people who live far north of Siberia, with their Russian/post-Soviet or Eskimo heritage. We visited villages like Lorino, where traditionally costumed local Eskimo dancers sang and danced the stories of their Chukchi ancestors for us. We sampled local food: a delicious fish soup made from Arctic char, gray whale and walrus muktuk (blubber and skin), and reindeer meat. Wrangel Island eventually came into view and thankfully the sea ice had broken up enough for us to visit one of Russia’s most restricted nature reserves, a UNESCO World Heritage Site and International Biosphere Reserve, best known for having the greatest number of polar bear dens in the world! Considering that the summer temperature hovered just above zero, we were amazed to see so many plants and flowers, like the forget-me-nots when we went ashore on Komsomol Beach. Now it was polar bear time. We spot them swimming and walking on ice floes, including a mother with cub – but are glad not to see them when we go ashore, guarded by one of the guides armed with a rifle. A couple of days later we see 100 walruses, males weighing up to 2,000kg with big tusks, lounging on the beach or swimming near the shore. And so we sail back to Nome, Alaska, where our trip began, after a charter flight from Vancouver; we are grateful for the mostly good weather and lack of mosquitoes, treasuring our memories of the eastern Russian Arctic tundra in summer.